This is the only all magic issue of Science and Mechanics magazine. 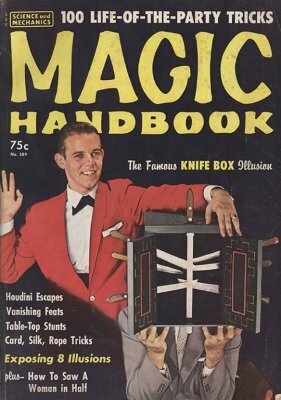 It includes a cross section of magic effects from illusions with building instructions, to various close-up effects and mentalism. The emphasis with this magazine was to encourage readers to build their own. It therefore has a distinct DIY feel. The magic consultants for this issue were William B. Gibson, Sidney H. Radner, Litzka Raymond, and Victor D. Dressner. 1st edition 1962, No. 589, 160 pages.